Snow Joe iON13SS-HYB 4.0 Ah Hybrid Battery or Electric Cordless Snow Shovel, 13"
With an EcoSharp® rechargeable battery, the shovel can operate for up to 52 minutes, which will be enough to clean a medium-sized front yard from snow. The engine is quite noisy. 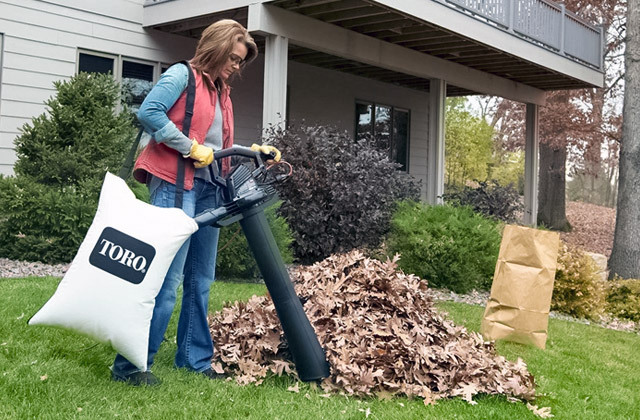 Thanks to a hybrid technology, the shovel can operate cordlessly with a battery or powered by a power cord. 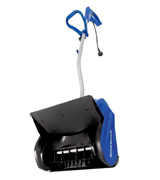 This feature alone makes this model a highly mobile and versatile device for cleaning snow anywhere. Earthwise SN74014 4.0 Ah Cordless Electric Snow Shovel, 14"
The snow throwing distance of this model can reach 32 feet. Additionally, you can change the throwing direction so that the snow piles will be placed as far from your yard as possible. The placement of the safety button is somewhat inconvenient. 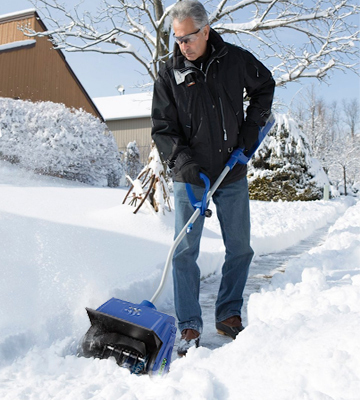 A cordless electric snow shovel from Earthwise will prove to be a smart choice if you want to clean an uneven surface from snow. The device is fairly comfortable to use since it has two sizeable wheels that ensure a smooth and comfortable operation. The length of the handle can be adjusted and it is wide enough for a double-handed grip. Additionally, it has a soft padding, which excludes the risk of getting calluses even if you prefer to work without protective gloves. Difficult to transport since the model is rather bulky and heavy. 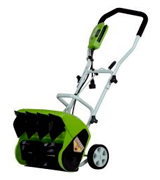 If you find the process of cleaning the snow particularly tiresome, then this model is a perfect choice for you. With 16" clearing width, this powerful shovel can process up to 600 lbs of snow per minute, which makes cleaning of a large area an easy task. The design of the shovel consists of several elements that make it highly compact and easy to use. It will also be ready for cleaning in no time whenever you happen to need it. The protective gloves are required since the housing of the device tends to vibrate. A fitting model for people tired of cleaning the snow using a regular shovel. 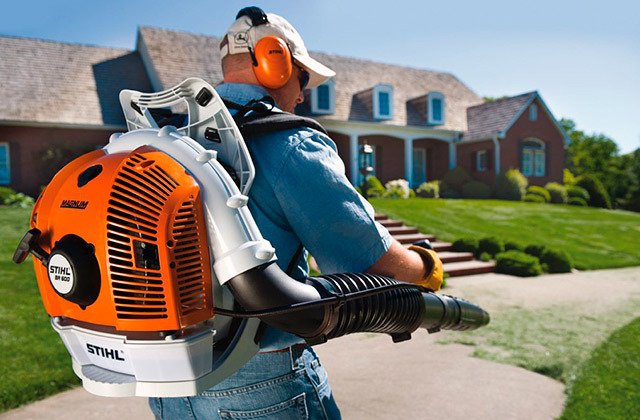 With this electric version in your garden supply arsenal, you will be able to clean your yard without any hassle. 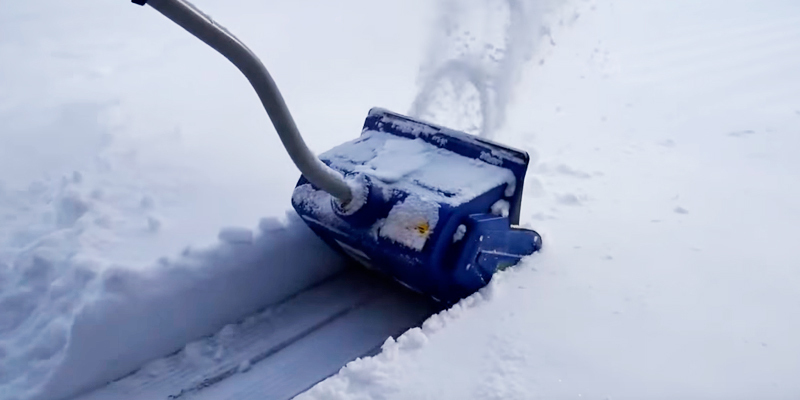 The motor of this modest shovel is extremely quiet, meaning that you will be able to clean the snow at any time of day or night without disturbing your family members or neighbors. The maximum snow throwing distance is less than impressive. 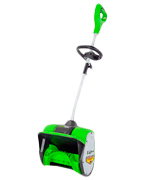 If you have a house with a moderate garden or yard and are looking for an easy-to-use model, then this electric shovel is what you need. 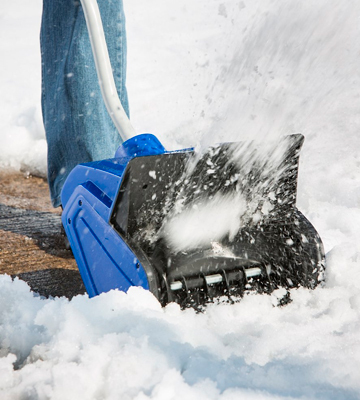 This model will make cleaning the snow off your driveway a pleasantly simple process. 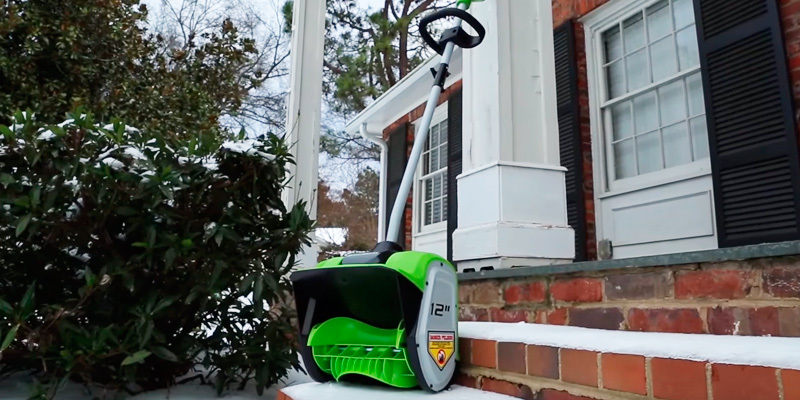 The battery-powered shovel from Snow Joe features 2 modes of operation: corded and cordless. With a 40 V 4.0 A battery on board, the shovel is capable of operating for almost a full hour without stopping. What is more, the device also comes with a battery charger so you don’t have to purchase it separately. That said, with a 2-blade paddle auger, the device is able to throw the snow up to 25 feet away. Unfortunately, this model can only throw the snow in the direction the blades are facing. However, you can change the direction of the blow by 30-45 degrees by slightly angling your body. This may seem tricky for the first few tries but, in just a few minutes, you will be able to angle the shovel to throw the snow away from the direction you are facing. Although it is not the largest model out there, some users may find it a bit heavy, especially when you attach a battery that weighs almost 3 pounds. On the other hand, despite the fact that this device does not feature wheels, its design is fairly ergonomic. On top of that, a system of back-saving and adjustable holding handles makes prolonged operation comfortable for the user. To sum up, the Snow Joe electric snow shovel is a perfect choice for you if you prefer your devices to be mobile and powerful at the same time. 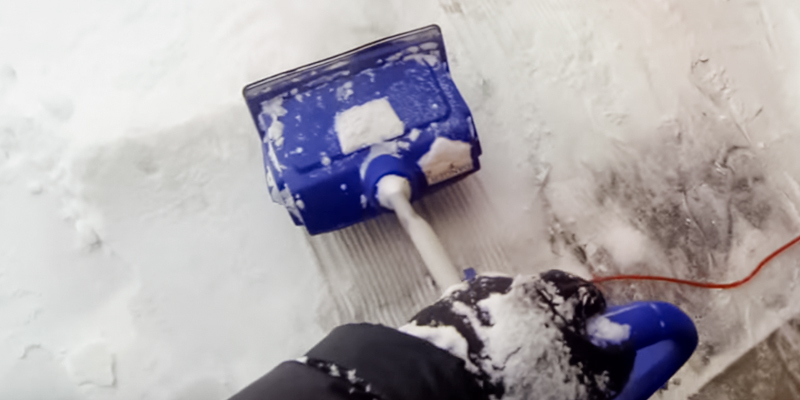 The power snow shovel from Earthwise is surprisingly powerful for a fairly basic snow cleaning device since its snow throwing distance can reach up to 32 feet. 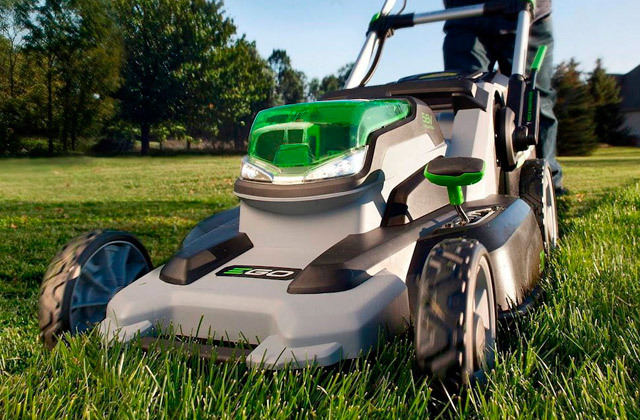 Unlike other regular models, this one has 2 large wheels in the back that ensure a relatively smooth operation even on such surfaces as grass or gravel. 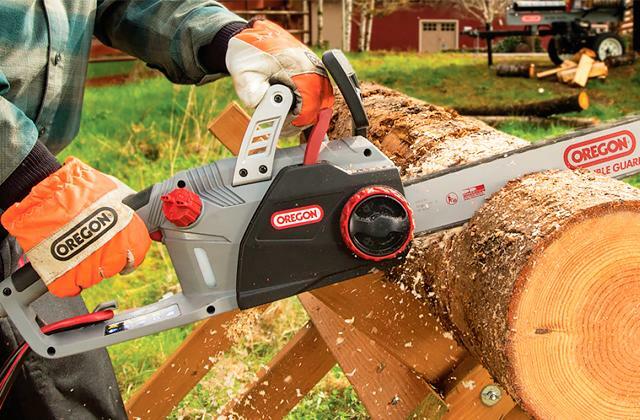 The EcoSharp lithium-ion battery of this device offers enough to support up to 45 minutes of continuous operation. Additionally, a powerful engine can throw away up to 300 lbs of snow per minute. 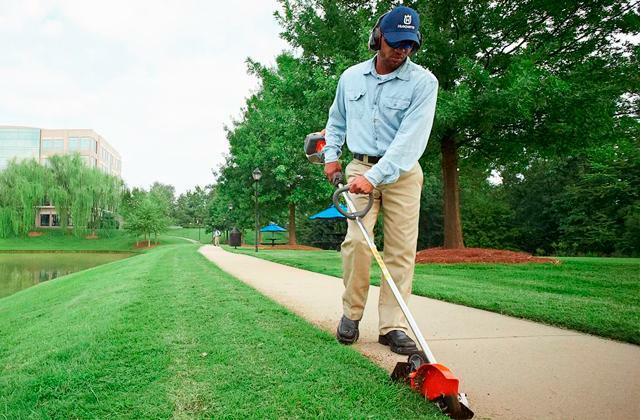 In combination with the high-quality blades that have a clearing width and depth of 14” and 8” respectively, you will be able to clean your yard or driveway from the snow in less than an hour. The minor drawback of this model is that the safety button placement is somewhat inconvenient. Thus, you will have to hold the power button at all times in order for the device to operate, an approach that takes some time to get used to. Although you can adjust the direction of snow-throwing by using a lever, the maximum angle leaves quite a bit to be desired. Having said that, despite some minor flaws, the Earthwise electric snow shovel is fairly stable and acts more like a snow blaster than a regular shovel, which makes it comfortable to use on uneven surfaces of your yard. 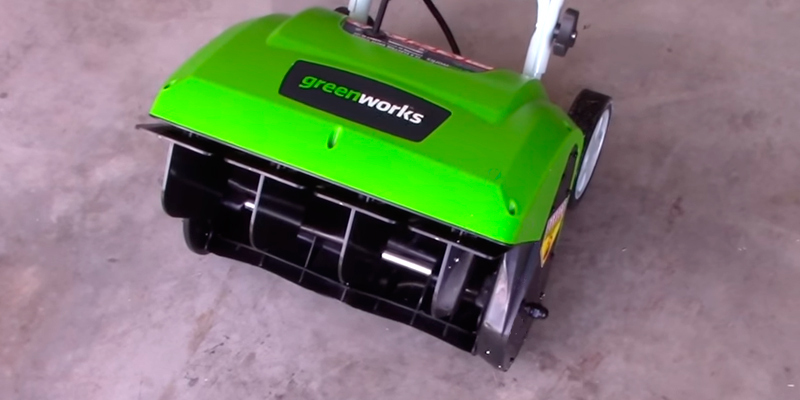 Although the GreenWorks 26022 does not seem powerful at the first glance, its 10 A motor will be able to surprise you. The 16” wide blades of this device are capable of processing up to 600 lbs of snow per minute, which is simply remarkable considering the dimensions of the device. The snow-throwing distance reaches 25 feet, which is also quite impressive. 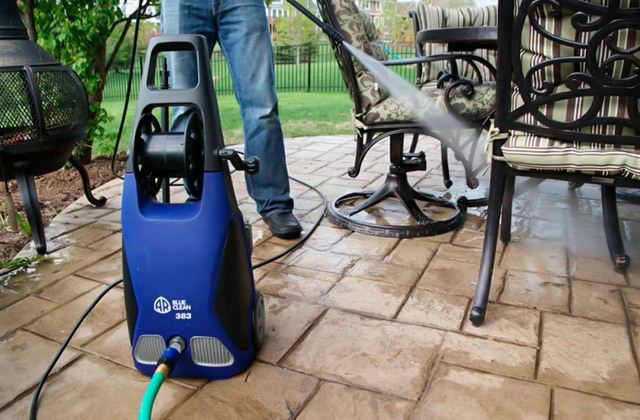 With such a capacity, you will be able to clean your porch, driveway, back or front yard from the snow in no time at all. Additionally, the snow-throwing direction lever can be used to adjust the angle of the snow output, so you won’t need to clean your yard two times in a row. Despite the fact that this model is one of the heaviest 16-inch models on the market, it is sturdy and well-balanced, which ensures comfortable operation and prolonged service life of the device. 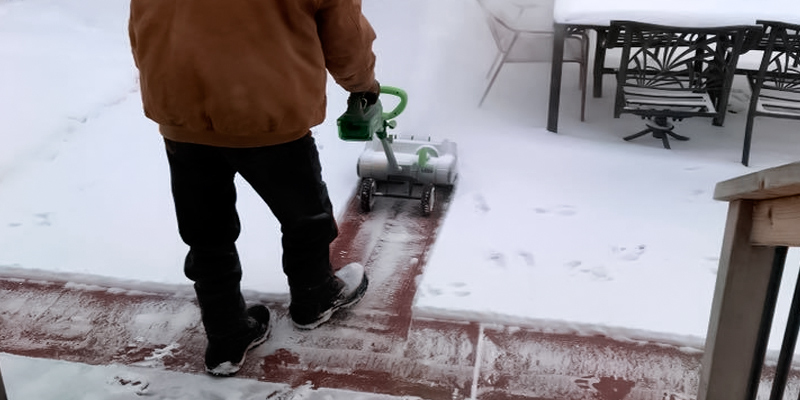 Dissimilar to operating a bulky gas blower, you will be able to clean your sidewalk from the snow without feeling extremely tired despite the weight of 25 lbs. 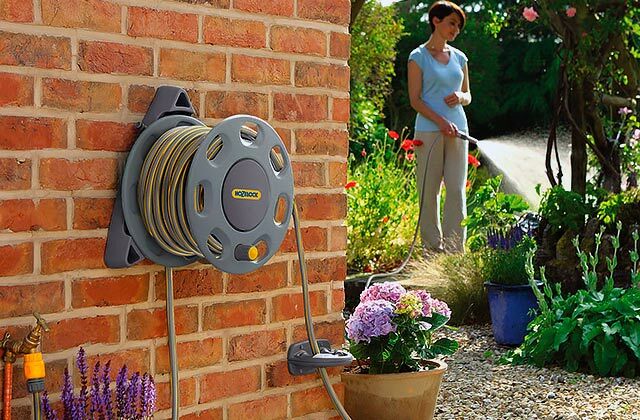 Since this model is corded, the product comes with a handy 50 feet extension cord that will be more than enough in most situations. The blades and the powerful rotor aren't just capable of cutting into the snow that is 6” deep but they also make a pretty good job cutting through it. 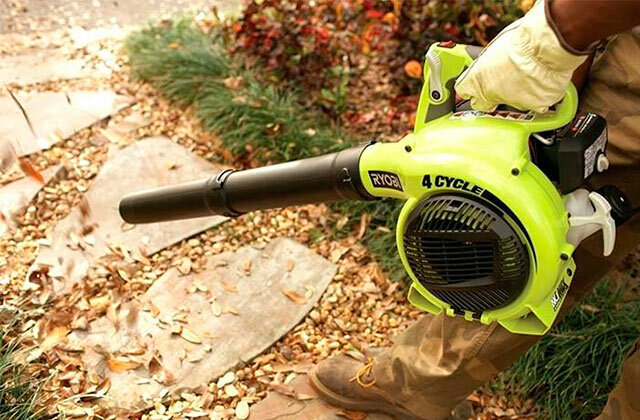 Just remember that the product is suited for paved surfaces and any hard object may damage the blower. 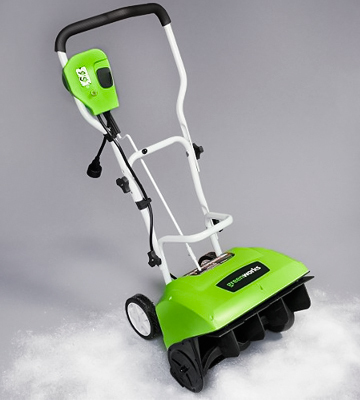 In conclusion, the GreenWorks electric snow shovel is a go-to pick if you need a device that is capable of clearing the area in a matter of minutes. 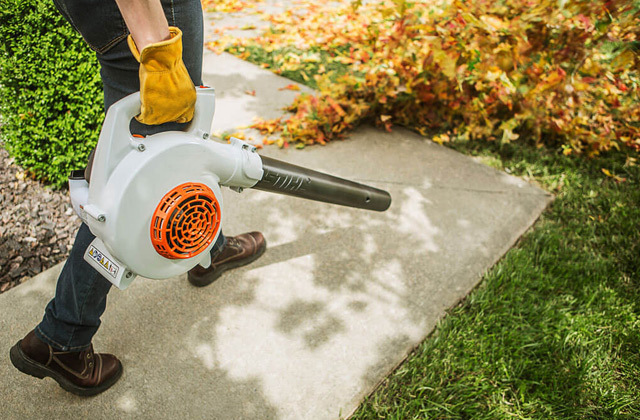 The 323E from Snow Joe is a corded mini snow blower that makes the task of cleaning the area around your house from snow virtually hassle-free. It will allow you to remove the snow anywhere you want, putting in next to no time and effort. The powerful 10 A motor spins the rotor at an impressive RPM, thus allowing the device to remove up to 400 pounds of snow per minute. Sure, these aren't the most impressive numbers, but what they offer is more than enough to clean the area of 800 to 1000 square feet in just one hour. Usually, it would take you a whole morning to do such an amount of work with a regular shovel. Easy to assemble, the snow shovel from Snow Joe can be put together in a couple of minutes and the length of the device can be adjusted according to your liking for additional comfort at any time. Since it is a corded model, it has a safety feature that won’t allow the shovel to operate until the power button and the safety switch are pushed and held down simultaneously. 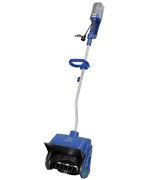 Although this model is great for dealing with both dry and wet snow, it is not recommended for cleaning the ice since the auger parts are made of plastic and even small chunks of hard materials can damage the device. All in all, the Snow Joe corded shovel is a great solution if you need to get the job of cleaning the snow done well and quick. Do you ever get tired of cleaning the snow off your sidewalk with a regular shovel? 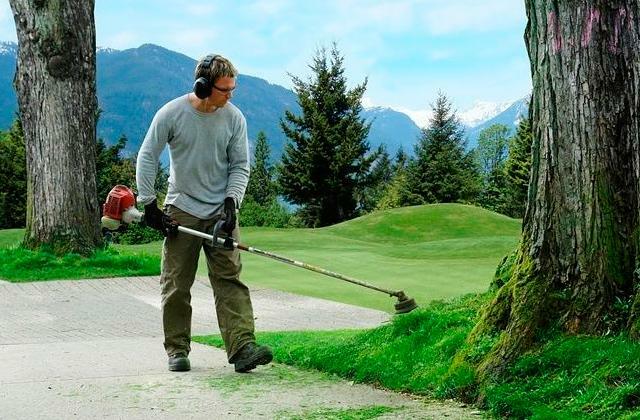 Usually, this process looks more like an intense workout session in the gym than a seemingly simple process of cleaning the yard. That said, in the age of large and mostly inconvenient gas snow blowers, a device that is both compact and powerful can be hard to find. Fortunately, the 12-inch snow shovel from GreenWorks is one of those devices. Unlike most 12-inch models, this one features an 8 A motor and, in this case, it is not a drawback at all. This little motor is capable of throwing away 300 pounds of dry or wet snow per minute, a number that not a whole lot of 12 A models are able to match. 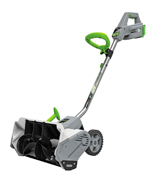 With 12” wide blades, you will be able to cut the snow that is over 6 inches deep with an effortless smile on your face. Unfortunately, there are no means to adjust the snow-throwing direction, which may seem like a drawback for some users. As for convenient features, this model is extremely lightweight and has an ergonomic design that reduces any fatigue and back pain that you usually face when working with a regular snow shovel. On top of that, the instant start option allows you to get the device working exactly when you need it. 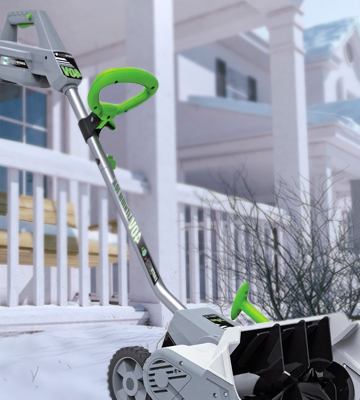 Finally, if you need a sturdy yet lightweight snow removal device that can operate quieter than a vacuum cleaner, you might want to strongly consider this model from GreenWorks. We all get upset when the winter comes and we realize that every time the snow starts to fall, we will have to clean the driveway and the yard sooner rather than later. 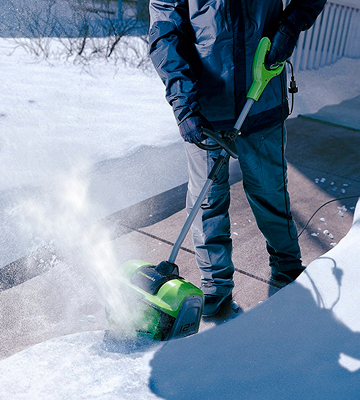 The electric snow shovel acts as a small and compact version of a snow blower. When using this device, the main idea of processing and throwing the snow away remains the same. However, unlike snow blowers, this device doesn’t require gas or fuel to operate and uses electricity as a power source instead. There are quite a few variations of cordless and corded snow shovel models out there, hence there are more options to find the one that suits your particular needs. Even if the device is battery operated, it is lighter than the smallest snow blower, which makes this type of snow removal device a smart and convenient choice. 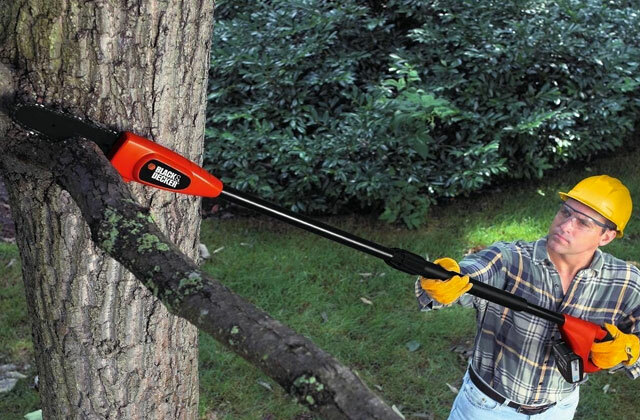 With this compact tool, you will be able to clean all the snow from your yard, sidewalk, porch, and patio in no time. Moreover, the process of cleaning the snow the same way you would mow the lawn makes it fun and almost effortless, especially in comparison with a regular shovel. So take a look at our top electric snow shovel reviews and pick the one that meets your requirements. Too much snow outside? If you are looking for a more powerful snow removal device, you may also consider purchasing a snow blower or a gas snow blower. 1. How to Snow Blow Your Driveway, wikiHow. 3. Rules on Clearing Snow, City of Boston. December 4, 2017. 4. Patrick Allan Three Helpful Tips for Clearing Your Driveway With a Snow Shovel, Life Hacker. December 22, 2015. 5. David Beaulieu Snow Shoveling Tips, The Spruce. January 4, 2018.